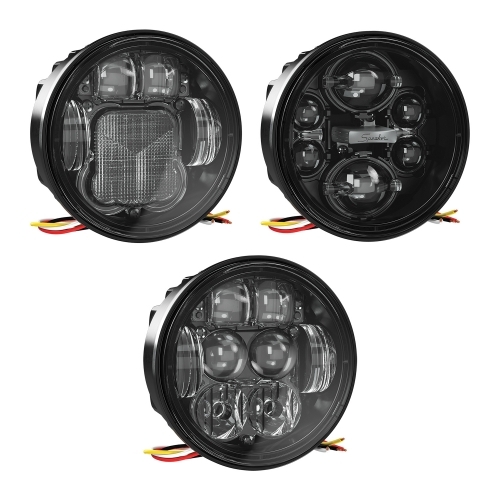 The Model 6130 Evolution offers a headlight upgrade for 4.75″ (PAR38) sealed beam headlights. The design incorporates advanced LED technology eliminating the hassle of an external driver and features a new, lower profile for an easier installation. The Model 6130 Evolution LED headlight uses high quality LEDs and engineered optics to produce maximum visibility for low beam, high beam and high/low beam options. Instruction Sheet: Model 6130 Read More... Installation Instructions for the Model 6130 Mounting Kit from J.W. Speaker. PDF available for download.